There are few things more exciting than summer vacation. Whether you’re going paddle boarding at Sun Peaks Resort, scuba diving in Tulum, or anything in between, the warm temperatures, cool waters, and delicious drinks make for unforgettable memories. 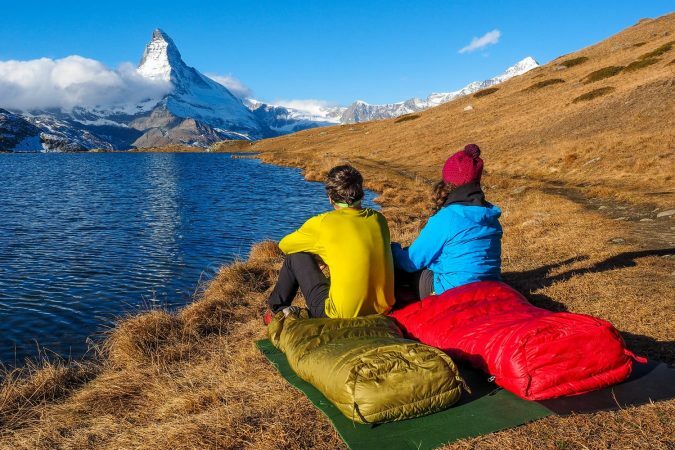 Other than your quick-drying towel, the other thing you absolutely have to bring with you is sunscreen. Obviously there are tons of options on the market with several different SPF ratings, but that’s not super important right now. What’s important is that a lot of the sunscreen we wear is harmful to marine ecosystems and coral reefs. 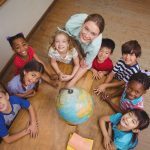 The issue is so serious that Hawaii governor David Ige signed a bill into law on July 3, 2018 banning the sale of over-the-counter sunscreens with octinoxate and oxybenzone. We need to make sure we’re not having fun at the expense of nature. The solution is simple. Instead of the “standard” brands we’re used to buying, we should focus on reef-safe sunscreen because it’s safer for our skin and the environment. Our Recommendation: After extensive testing, we have concluded that the Blue Lizard Australian Sunscreen is the best reef-safe sunscreen. It’s water-resistant, free of harmful chemicals, and trusted by dermatologists all over the world. Below is a list of the best chemical free sunscreens. 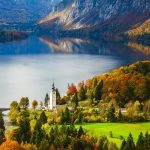 Click on the product name to read reviews and check prices. Do Reef-Safe Sunscreens Even Work? Quality reef-safe sunscreens work just as well as the sunscreens we’ve been used to buying for years. But like everything, there are pros and cons. The major pros are that it’s beneficial for the environment and for our skin as well. The catch is that these mineral-based sunscreens don’t blend as well into your skin as traditional sunscreens do, but that’s how they’re designed. They’re designed to sit on top of your skin and block UV rays, which also means you may have to apply it more frequently. But at the end of the day, the benefits reef-safe sunscreen brings to you and the environment outweigh the cons. In biodegradable sunscreens, the typically-used synthetic ingredients are replaced by mostly plant-based, organic ingredients like green tea and seaweeds. 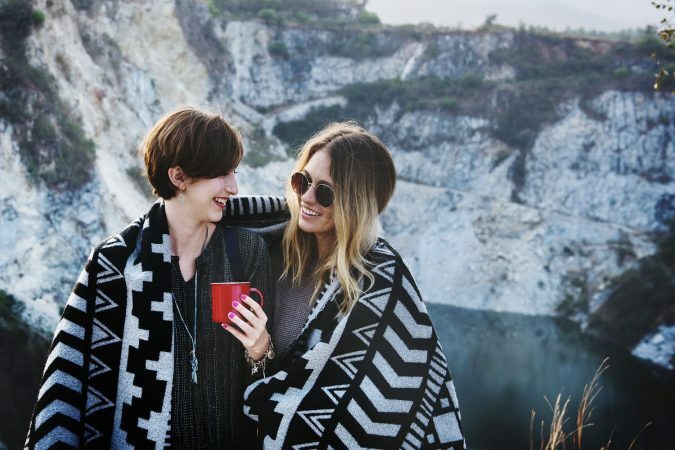 These types of sunscreens are beneficial to the environment because they disintegrate much quicker than sunscreens with synthetic ingredients, which can take multiple years to disintegrate. Also known as physical sunscreens, mineral sunscreens work because tiny zinc oxide or titanium dioxide particles sit on your skin and physically block/reflect the sun’s rays to protect your skin from UV damage. 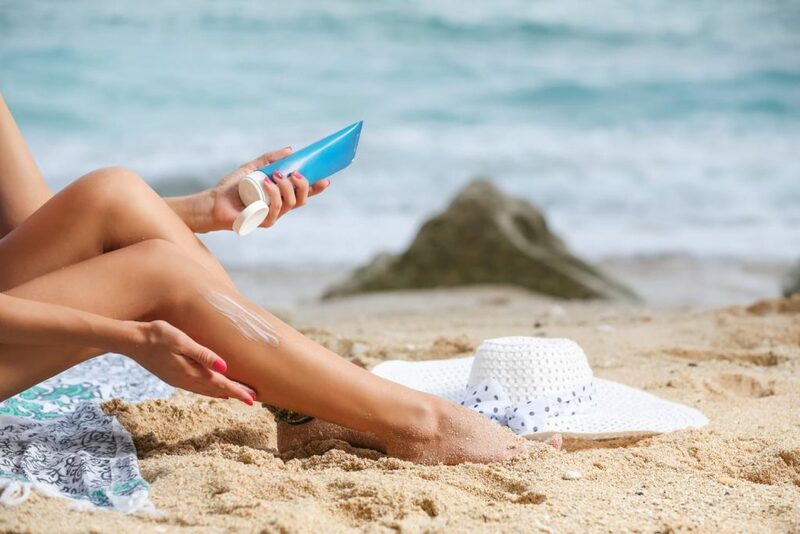 Traditional sunscreens are referred to as chemical sunscreens, and they absorb UV rays and turn them into heat, which is then released through your skin. 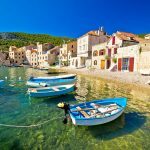 Keep in mind that all mineral sunscreens are not reef-safe. You’ll want to read the ingredients list to make sure the zinc oxide or titanium dioxide is “non-nano” because particles smaller than 100 nanometers can be ingested by and harmful to corals. This is typically primary ingredient in reef-safe sunscreen. Just because a sunscreen says its “reef-safe”, “ocean-friendly”, or “biodegradable”, doesn’t mean it is. Be sure you read the ingredients on the tube or tin before purchasing your sunscreen. But buying a sunscreen with non-nano zinc oxide is usually a great start. Some national parks have even started checking to make sure visitors have eco-friendly sunscreen. While the primary ingredients are important, the other ingredients can help a lot with moisturizing. Sunscreens with things like Vitamin E or lavender will not only protect your skin, but keep it moisturized as well. This is a huge deal if you’ll be doing any water activities. It’s estimated that every year up to 14,000 tons of sunscreen wash off of our skin and get into the ocean and coral reefs. This is the number one ingredient you should avoid. 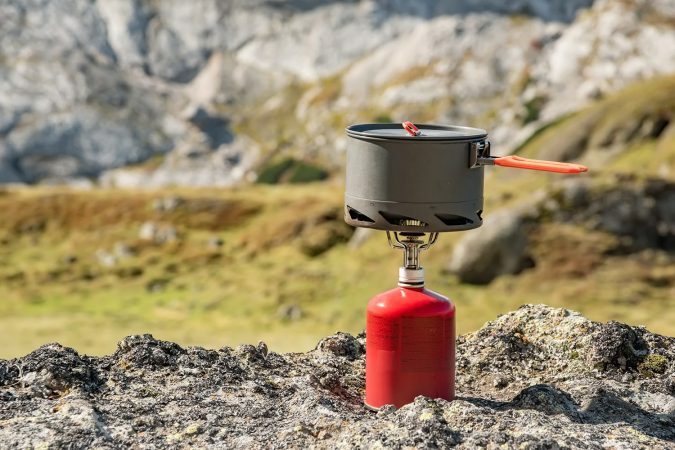 Titanium oxide and zinc oxide are also dangerous ingredients you should do your best to avoid. These three chemicals have been found to quicken the production of hydrogen peroxide, which is known to kill plankton. Plankton is a food source for corals and other animals higher up on the food chain. Titanium oxide and zinc oxide are usually mixed as nanoparticles. These nanoparticles clog the pores of corals and eventually prevent them from getting the sunlight they need, which means they can’t receive the nourishment they need. Parabens are synthetic preservatives that help to preserve the shelf life of a variety of products like sunscreens, shampoos, and other cosmetics. Parabens can act like hormones in the body and interrupt functions of the endocrine system. This is significant for you because parabens are believed to increase the risk of breast cancer, negatively impact the male reproductive system, and lead to early puberty in children. A sunscreen with no parabens will be better for you and the ocean. Octocrylene, Octinoxate, triclosan, and PABA octocrylene, are some of the chemicals you should avoid in sunscreen. Unfortunately, you almost need have a PHD in chemistry to read ingredient labels nowadays. So, to make your search for the best reef-safe sunscreen a little easier, check for sunscreens that say reef-safe sunscreen or coral-friendly/safe. So which reef-safe sunscreen is the absolute best? It’s hard to say; it depends on things like your skin sensitivity, if you plan to get wet, etc. Check out our favorites below to see which one will fit you best. Trusted by dermatologists for more than 20 years, Blue Lizard makes some of the best reef-safe sunscreen for those with sensitive skin. This paraben-free suntan lotion is mineral-based and has no fragrances or skin-irritating chemicals. 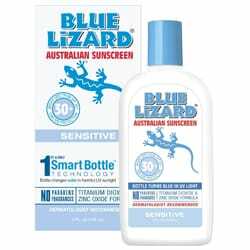 Blue Lizard is a super popular sunscreen that is water-resistant for 40 minutes and offers SPF 30+ protection during all of your summertime fun. 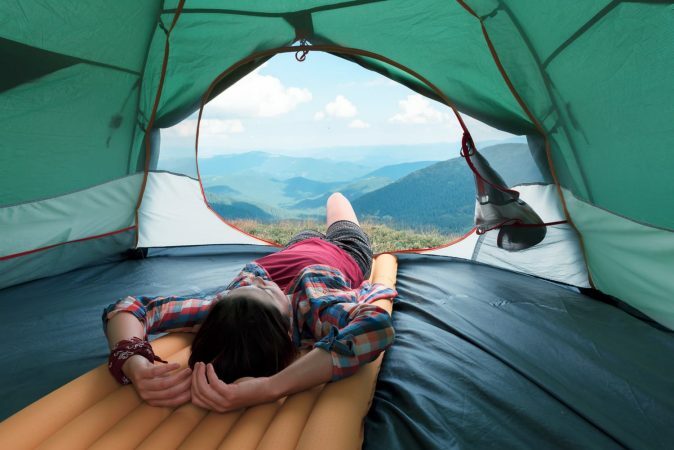 Designed for adventure lovers and outdoor enthusiasts, MANDA Organic is a great eco-friendly sunblock. Made with high-quality ingredients, thanaka is only one of the things that makes this SPF 50 sun paste stand out. Thanaka has been used by Burmese people to protect and beautify their skin for more than 2,000 years. Not only will it protect you from the sun, but it’s also rich in antioxidants, regenerative, and has anti-acne, anti-aging, anti-bacterial, and anti-fungal properties. On top of that, the super cool packaging is made from tin and bamboo, so not only is the packaging recyclable, but you can also reuse your tins to store everything from coins to your favorite travel earbuds. 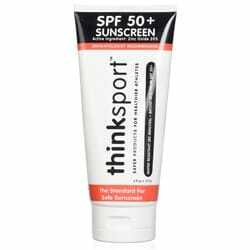 When it comes to non-toxic sunscreens, it’s hard to beat Thinksport. It boasts SPF 50+ protection as well as the highest level of broad-spectrum UVA and UVB protection, according to the FDA. Not only is the sunscreen water-resistant for up to 80 minutes, but it should easily absorb into your skin. With no UV chemical absorbers, biologically harmful chemicals, oxybenzone, or avobenzone, you can trust that Thinksport is one of the best chemical-free sunscreens on the market. Six ingredients combine to create what EWG (Environmental Working Group) calls the top-rated safest sunscreen. This SPF 50+ sunscreen butter gives you 80 minutes of water resistance and is infused with ingredients like beeswax and coconut oil. 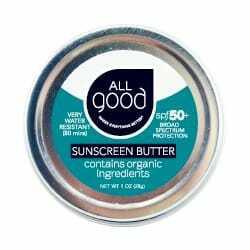 Along with being a safe and effective sunscreen, All Good Organic Sunscreen Butter comes in a small tin that fits easily almost anywhere you need it to be, from your jacket pocket or beach bag to your glove compartment or wallet. 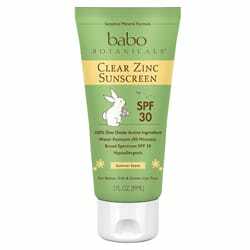 Among the best natural sunscreens you can buy, Babo Botanicals SPF 30 Clear Zinc Lotion is non-nano along with having no dairy, gluten, or soy. Not only is it reef-safe, but it’s also hypoallergenic, great for people with sensitive skin, and safe for children and babies. In addition to the UVA/UVB protection, you’ll also get 80 minutes of water and sweat resistance for everything from your hikes to your swims. It only takes five ingredients to make this amazing coral-safe sunscreen. 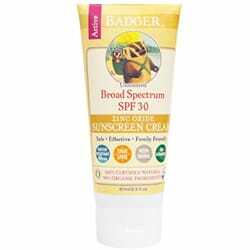 Badger produces a biodegradable sunscreen that’s environmentally friendly and cruelty-free. 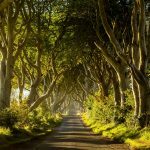 Ingredients like Vitamin E and sunflower oil mean that your skin will be both protected and hydrated throughout your adventures. 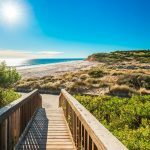 Known as one of the best organic sunscreens on the market, you’ll have UVA/UVB protection as well as 40 minutes of sweat and water resistance while you’re living the island life or hiking the Great Ocean Walk in Australia. Stream2Sea makes a natural sun lotion that blends potent antioxidants like organic green tea, olive leaf, tulsi, and wakame. 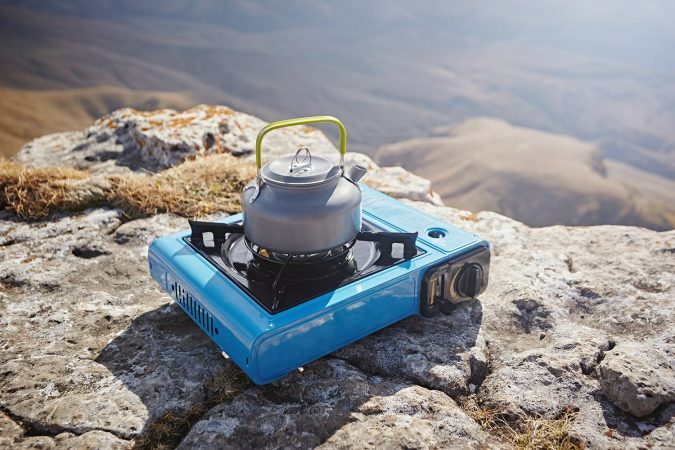 It’s fast-absorbing and non-greasy, and it’ll give you up to 80 minutes of water-resistance. Mineral rich, it can be ranked as the best sunscreen without parabens because it’s safe for you and not harmful to oceans or marine life. 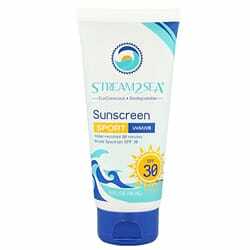 Once you buy Stream2Sea Biodegradable Sunscreen, you’ll want to keep a tube everywhere from your favorite carry-on luggage to your travel briefcase. 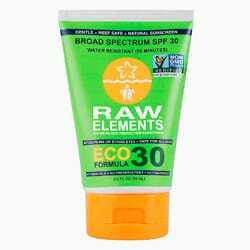 One of the best eco-friendly sunscreen brands, Raw Elements uses hydrating ingredients that make it a great sunscreen as well as a great organic moisturizer. The natural sunscreen is free of gluten, nuts, and soy. Made with antioxidants, minerals, and vitamins, it’s a very versatile sunscreen that is gentle enough for children and even offers protection against salt and wind. Biodegradable and water-resistant for up to 80 minutes, Raw Elements has created a product that will be among the best reef-safe sunscreens for a long time. This 100% all-natural sunblock is perfect whether you’re heading to the backyard to chill out on your pool float or across the world to check some amazing hikes off of your bucket list. 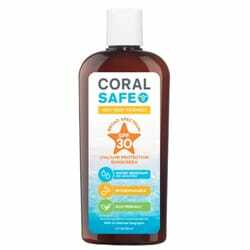 Coral Safe All Natural Biodegradable Sunscreen is safe for children, water-resistant, and non-allergenic. The broad-spectrum UVA/UVB sunscreen is also paraben-free, packed with green tea, and approved for scuba diving and snorkeling. They even have a 100% satisfaction guarantee to ensure you have the best time possible when you’re having fun in the sun. 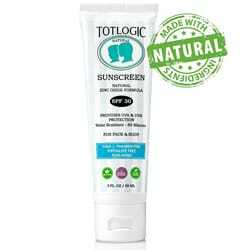 If you take a quick peek at reef-safe sunscreen reviews, you’ll notice that TotLogic Reef Safe Natural Sunscreen is rated number one on EWG (Environmental Working Group). Ideal for anyone over six months old, not only is it effective as a sunscreen, but it’s vegan, cruelty-free, and has no artificial fragrances or parabens. You can wear this sunscreen all year around as it’s infused with numerous botanicals and antioxidants like jojoba, lavender, and white tea. This mineral sunscreen has everything you need to keep your skin protected while spending time outdoors. 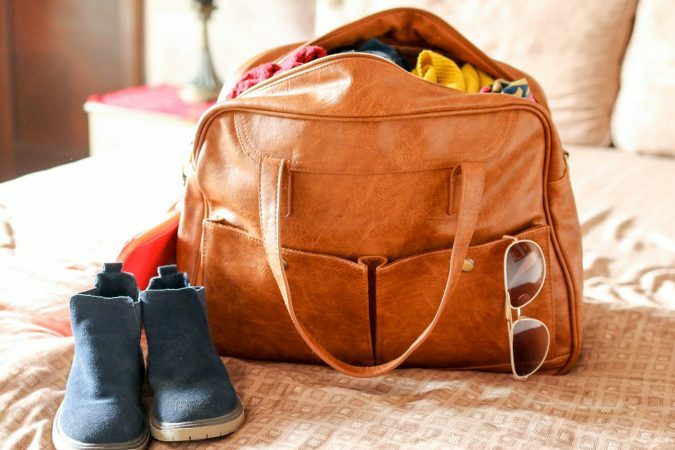 Now that you know how to have a blast this summer and not damage the environment with sunscreen, the only thing left to do is toss it in your travel bag and get going!